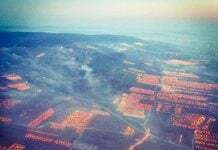 Residents of Koforidua in Ghana were left baffled when they woke up and discovered the waters of the Nsukwao River had turned blood-red on October 7, 2017. The cause of the strange phenomenon remains unknown. 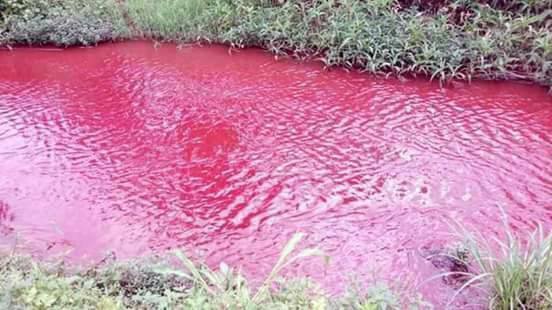 The waters of the Nsukwao River in Koforidua – eastern Region of Ghana – have curiously changed color on October 7, 2017 to become blood red. According to witnesses, the colorless water was running normally until at 5am when it suddenly turned blood red within minutes. The mysterious phenomenon baffled local residents and drew a crowd of curious people to experience this absolutely incredible event with their own eyes. The waters of the Nsukwao River in the municipality of New Juaben were previously colorless. Local residents believe butchers have poured a large quantity of blood from animals slaughtered in the river. 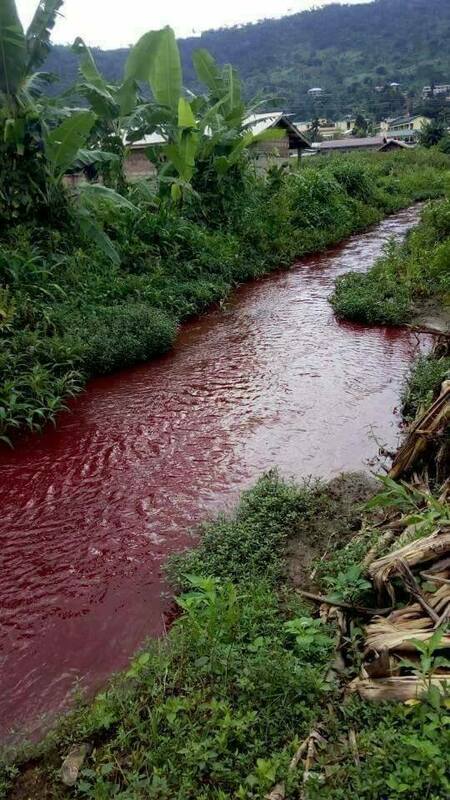 The regional police however believes the blood red color of the river is due to pollution – but there are no factories in the area – or to a mystery. What about this mystery being algae? 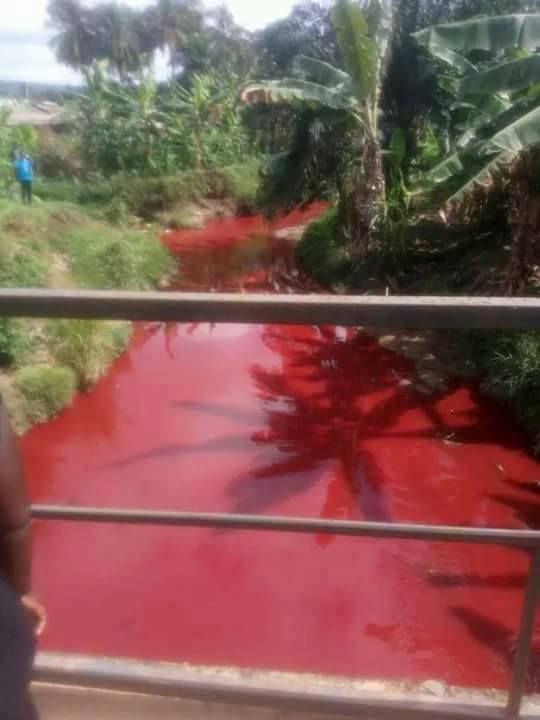 Meanwhile officials are investigating the cause behind the red dyeing of the Nsukwao River. You Know What Bothers Me Those Who Doubt God shouldn’t doubt any longer and still do have there doubts. Gods rapture is coming believe it or not. To those who are still doubters God is trying to give those who don’t believe to give a chance to have our Lord with in our whole entirewholebeing’ & within our hearts to be saved. I believe we are already well into the time of tribulation which only lasts 7 years. The enemy has us looking and waiting for a computer chip to be put in our right hand or forehead. What if that isnt what God meant? Could He of meant that we believe in worldliness over the “rightousness” of God? Or something along those lines. The word right has different meanings and the english language is fairly new by comparison. 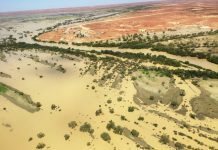 The actual cause of the blood red colour was found after a short investigation was conducted. The water was contaminated by a Textile company which deals in the manufacturing local prints such as tie & dye. The disposed of the waste products dye into the river which caused it to change colour. 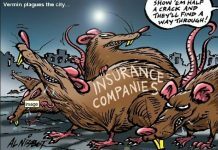 http://www.MuzikHyte.Com reported the investigation result some time ago.